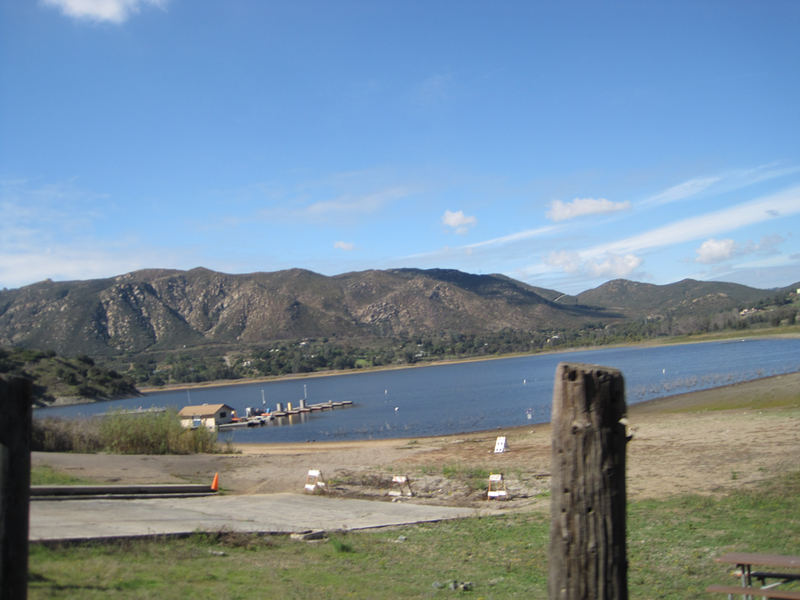 Length of Trail: This is an approximately 8 miles trail from the Sunset Drive – Mule Hill Trailhead to the Lake Hodges Dam along Lake Hodges. Del Dios East Trailhead: I-15 North towards Escondido, exit Via Rancho Parkway. West on Via Rancho Parkway, turn left on Lake Drive (just before reaching Del Dios Highway). Turn left into Del Dios Community Park parking lot. 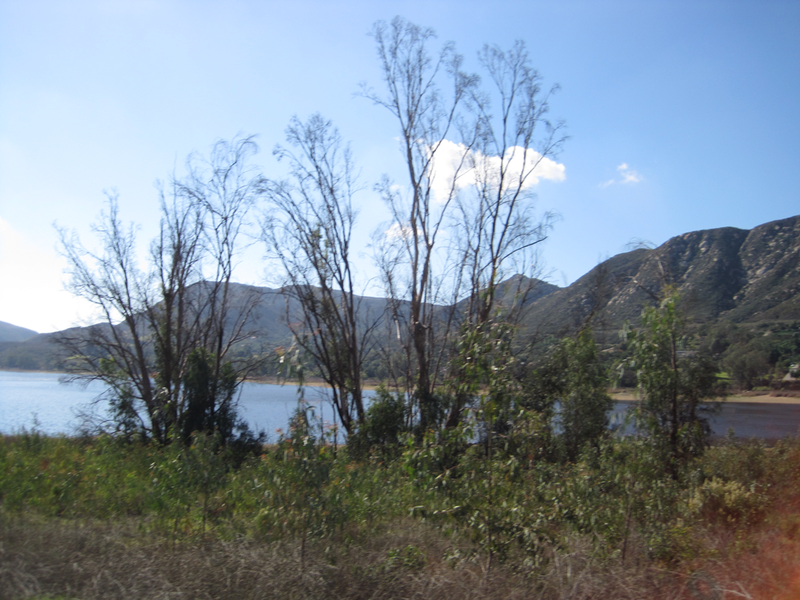 Del Dios West Trailhead: Follow Del Dios East Trailhead directions until you reach Lake Drive, continue west on Lake Drive until reaching parking lot across from Hernandez Hideaway. There is limited parking for trucks and trailers here. Sunset Drive - Mule Hill Trailhead and Staging Area: On Sunset Drive, accessible from Highway 15 and Via Rancho Parkway. From I-15, take Via Rancho Parkway East. At the first traffic light, turn right on Sunset Drive and drive to the parking lot at the cul de sac. 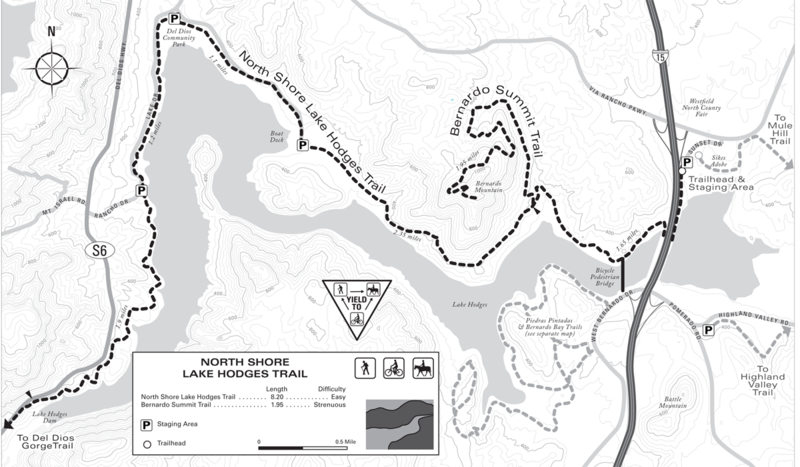 Conditions: The trail is well marked and described as easy to moderate from a 305’ low elevation to 425’ high elevation. Some parts of the trail around the lake are rather narrow and tricky. 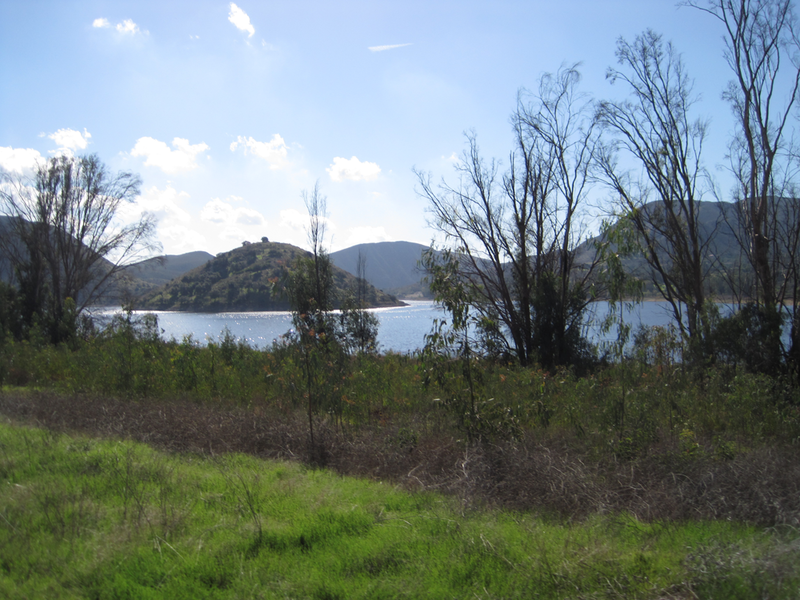 This is a beautiful trail through the community of Del Dios and the views of the lake are wonderful. Trail Users: The trail is open to hikers, cyclists, as well as horseback riders. Dogs are also welcome on a leash. Please pick up after them! General Site Info: This trail is part of the San Dieguito River Park’s Coast-to-Crest Trail, stretching 55 miles from the ocean to the Pacific Crest. 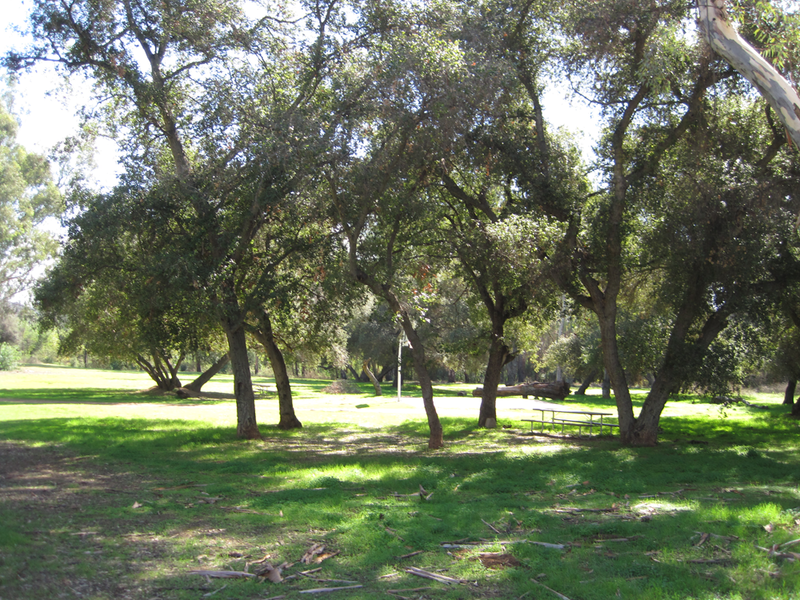 The San Dieguito River Park comprises 94,000 acres and was established in 1989.